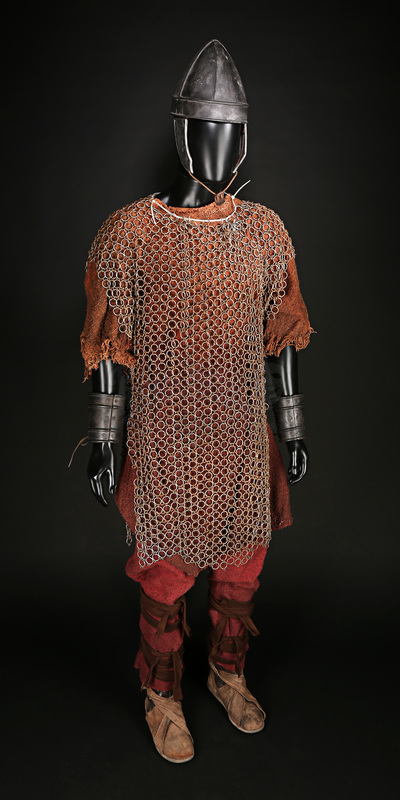 A Roman archer's costume from Ridley Scott's 2000 Oscar®-winning action epic Gladiator. 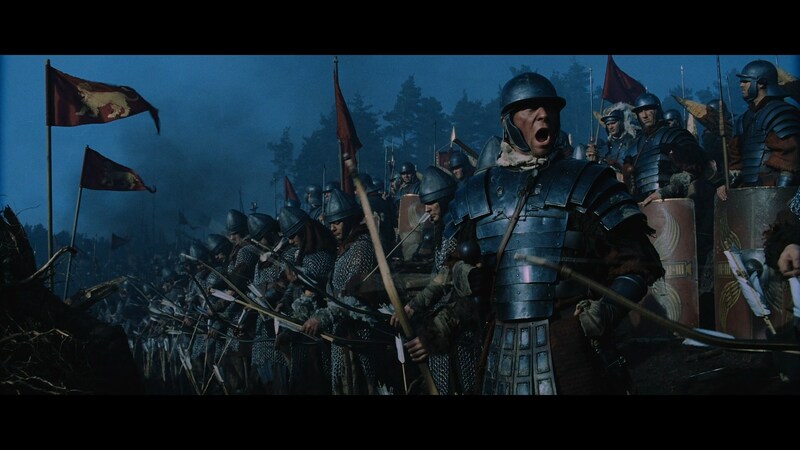 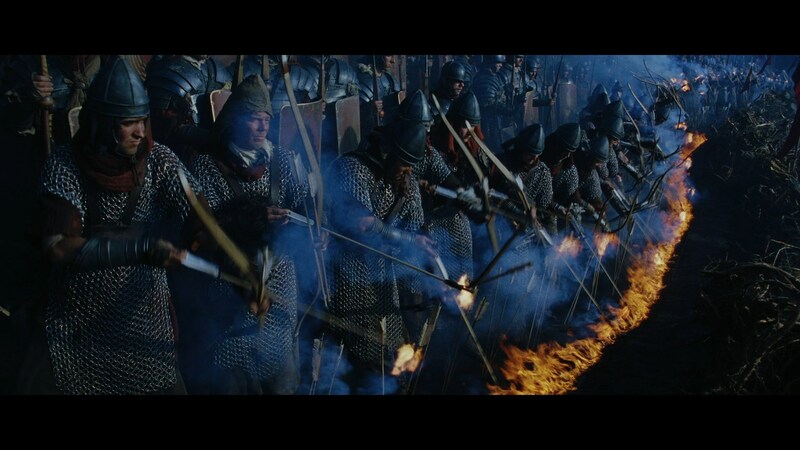 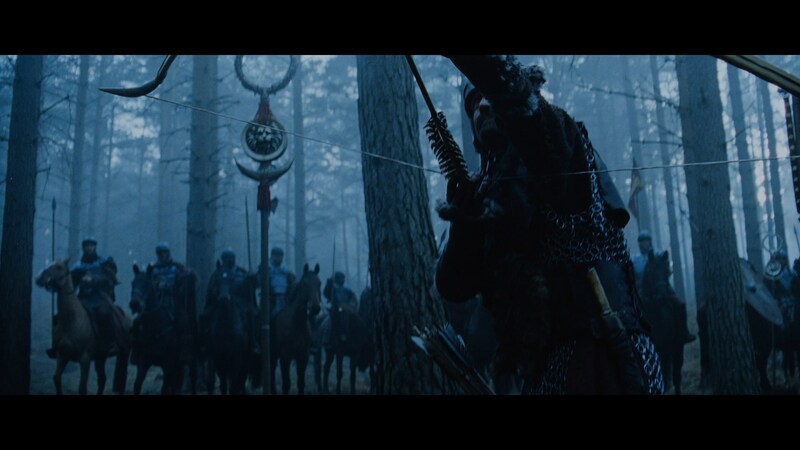 The Roman archers did battle with the barbarians of Germania during the film's opening battle, lighting up the sky (and enemy warriors) with flaming arrows, as Maximus led his army to victory under the watchful eye of Emperor Marcus Aurelius (Richard Harris). 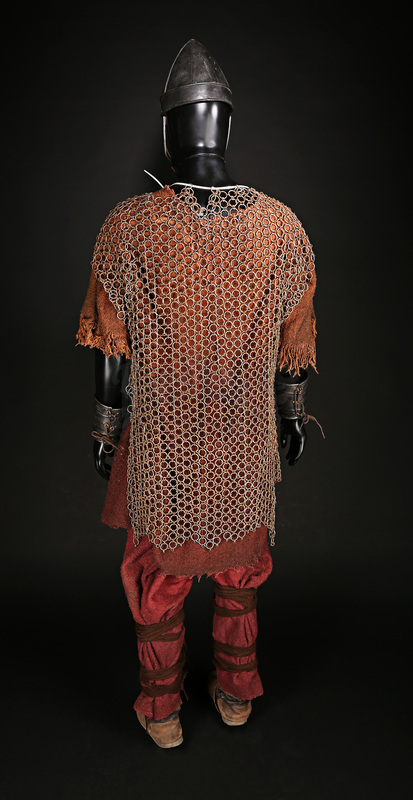 The costume is composed of trousers and tunic made of red-brown wool, over which is worn a pair of leather boots, a full-length suit of metal chainmail and a fibreglass helmet with a leather chin strap. 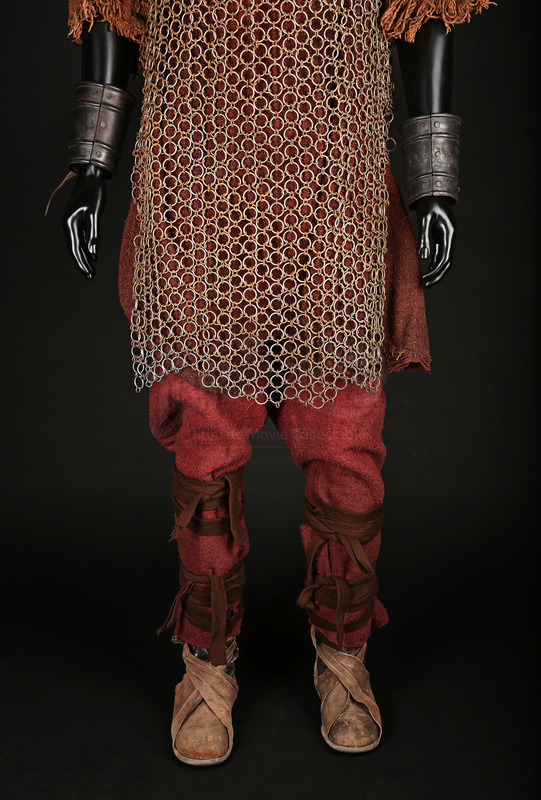 The costume displays dirt and grime from use in the film's battle sequences, and a pair of plastic bracers from a Gladiator Roman legionary have been added to complete the look of the costume. Considering the wear from age and production use, it is in excellent condition. 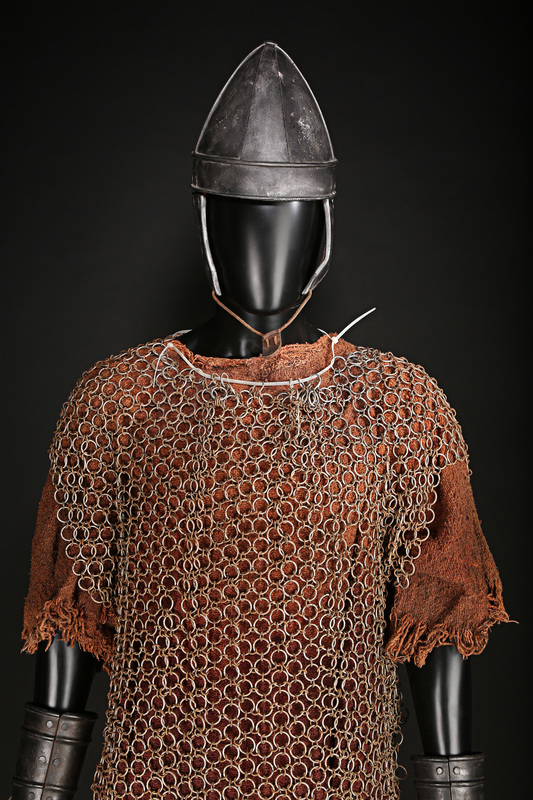 Materials: Man-made Woven Fibres, Ferrous Metals, Fibreglass.